J.D. 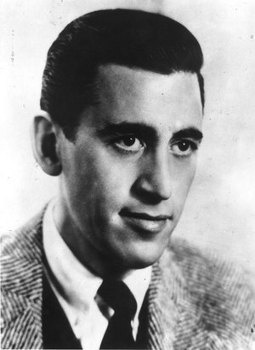 Salinger, reclusive author of The Catcher in the Rye, died today at age 91 in his home in Cornish, New Hampshire. The Catcher in the Rye was a novel that captured the milieu of the 1950's - the cynicism towards society, the disdain for conformity and the uncomfortable self consciousness of being in one's own skin. It became the literary voice for a generation of confused and angsty adolescents. Salinger was the son of a Protestant mother and a father who imported food for a living. His family business was successful enough to earn him a spot in an acclaimed Manhattan private school. However, Salinger dropped out in two years and was sent to Valley Forge Military Academy. After graduation, he spent two semesters in New York University, and a semester in Ursinus College in Pennsylvania. Following his dream to become a writer, he signed up for a writing class at Columbia University taught by Whit Burnett. Burnett immediately recognized the burgeoning talent of Salinger and became the first to publish his short story "Young Folks" in the highly regarded magazine, Story. In April 1942, Salinger was drafted into the U.S. Army Counter Intelligence Corps. He carried his typewriter with him wherever he went and wrote constantly. He was part of the infantry regiment that landed on the beaches of Normandy and fought its way to Paris and then to Germany. Later in his tenure, he wrote to Ernest Hemingway, stating that he was being treated in an hospital with a condition that might lead to a psychiatric discharge from the Army. It's believed that he suffered a nervous breakdown. In 1951, he published Catcher in the Rye, which stayed on the New York Times best-seller list for seven months. Although his book earned him acclaim and national attention, he chose to withdraw from the world and into the hills of rural New Hampshire. There, surrounded by 90 acres of forest separating him from society, he continued to write. In the years since then, he wrote countless short stories, only 25 of which were made public. In his rural New Hampshire house, his unpublished works dwell in a safe that takes up a good portion of one bedroom.